Aaron Ramsey says the Arsenal players want to win the FA Cup for boss Arsene Wenger following Sunday’s dramatic semi-final win over Manchester City. In a pulsating contest at Wembley, Alexis Sanchez scored the decisive goal in extra-time to hand his side a 2-1 victory and continue their hopes of winning the tournament for the third time in four years. The Gunners have come in for plenty of criticism in recent weeks, with the uncertainty over the boss’ future seemingly hindering his side’s ability to gel on the field. However, they will be hoping Sunday’s win can spur them on in the battle for the top four, with them now 6.50 for a Champions League finish, while winning the FA Cup would also add some gloss to a difficult campaign. It will be by no means easy though with Chelsea their opponents when they return to Wembley but Ramsey says the players have extra motivation as they want to pay back the boss’ faith. “It was important to win today, to have something to look forward to. 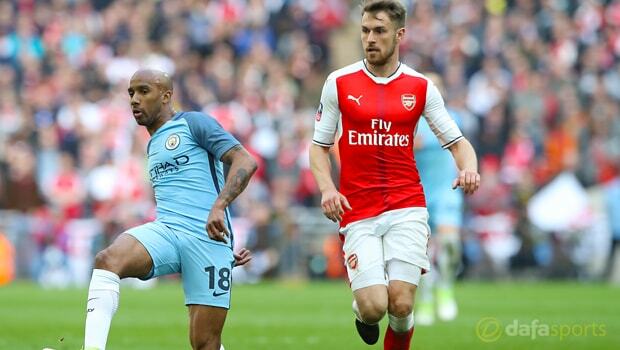 But now we have another seven cup finals to try and get into the top four,” Ramsey told the BBC. “We have let him [Arsene Wenger] down at times this season, we want to win it for him and ourselves. Arsenal are 2,20 to win the FA Cup on May 27, with Chelsea the 1.67 favourites to lift the trophy.